1.) The Rapture of the Church. 2.) The Second Coming of Christ. 4.) The Psalm 83 Prophecy. At the midpoint of the show Jonathan Cahn discusses America’s impending judgment, and subsequently Bill Salus explores the Psalm 83 war and introduces his new book, Psalm 83 – The Missing Prophecy Revealed, How Israel Becomes the Next Mideast Superpower. 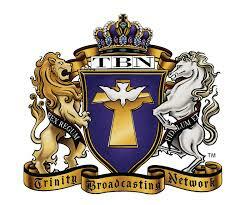 Important program notes: Irvin Baxter goes on the record and denies that there is a seven-year Tribulation. Baxter teaches there is only a three and one-half year Tribulational Period. Baxter also believes the faithful Jewish remnant is instructed to flee into Jerusalem, and not Petra Jordan. For the record, Bill Salus, believes that there is a seven-year Tribulation, and that the faithful Jewish remnant is instructed to flee to Petra Jordan, ancient Edom. In fact, Bill believes the worst place for the Jews to flee at the midpoint of the Tribulation is Jerusalem. This is because the Antichrist will be in Jerusalem attempting Jewish genocide at the time. Although differing views were expressed among the panel members, the interpretations were respectfully and professionally shared, and thus, the show turned out great!